Continuing the second part, in this part you will learn how to combine two commands in one (called pipelining) and also to store data from memory into text file (called redirection). These two techniques are the basic of all Unix-like systems and applicable on all GNU/Linux distros. Go ahead and practice them all! 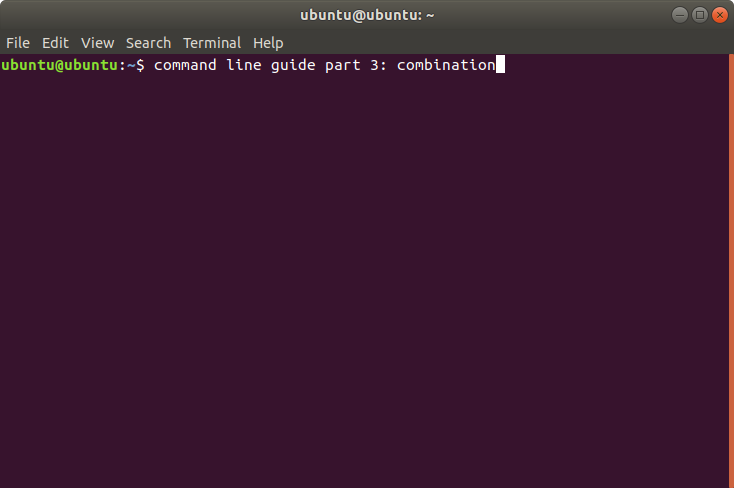 Read also First Part: Navigation and Second Part: Copy & Delete of the most basic command lines for Ubuntu beginners. There are two keys you will use in this exercise: the vertical pipe sign ( | ) and the greater-than sign ( > ). They are pipeline and redirection signs. You get the former by pressing Shift+Backslash, and the latter by pressing Shift+Period, for most keyboards. Turn on your internet access here. Turn off your internet access here. echo "Hello, I am a message!" echo "This is a data!" Try to copy the content of file5.txt and paste it into LibreOffice Writer and save as PDF. You got a PDF! Press q to quit every manual. Again, try to copy the books into LibreOffice Writer and export them as PDF. Otherwise, you can also print them to papers! Open up joined-file one, two, and three with Gedit instead. What do you see? Again, open up the final-file with Gedit. Also try to open it up with LibreOffice and export it as PDF. Ctrl+C is cancel in Terminal: to cancel running command. cat command is not an animal, it is concatenation. echo command is a text printer to Terminal screen. The printed text are stored in computer memory (temporary), not file (permanent). dpkg -l is a command to list all software packages installed on Ubuntu system. ps aux is a command similar to Windows Task Manager, to show all currently running programs. grep is a command to search text based on your keyword (texts found are marked as red). awk is a command to read and manipulate text in beautiful way. Commands can be combined one with another. Combining commands is achieved by using pipe ( | ) sign. Thus it's called pipelining. Text from Terminal screen can be stored (redirected) into file. Redirecting data into file is achieved by using redirection ( > ) sign. 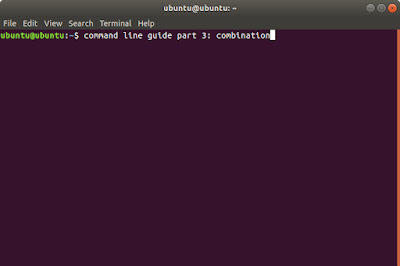 You can create TXT version of Ubuntu commands' manuals by using redirection. Once created, TXT can be printed or saved as PDF with LibreOffice! This way you can read Ubuntu manuals you want in papers. Pipelining and redirection can be combined, too. You can combine any pair of commands and any number of commands as you wish (not limited to 2!) and the result is infinite number of solutions you can achieve. cat command can be used to join split files (part1, part2, etc.) into one.